HYP Candles have been created to provide support and balance throughout pregnancy. 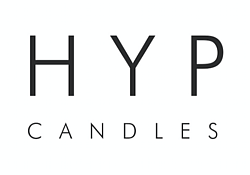 HYP Candles began when I became pregnant with my daughter, when I searched hard for products that I felt confident were completely natural and safe for use during pregnancy. As well as this, it was important for me to find a fragrance that I could use when practising my hypnobirthing relaxation and that I could then use during my labour. As I think a lot of pregnant women find, it felt limited when it came to finding products that I could use with confidence whilst expecting a baby. Soon after my daughter's birth, I decided to train to become a hypnobirthing teacher. I wanted to provide my couples with an aromatherapy candle to complement their practice and started to look into creating my own pregnancy candles. From there, HYP Candles was created. We've worked closely with aromatherapists to ensure that we can provide women with the reassurance that oils in our candles can be used during pregnancy. Everything we make contains all-natural ingredients and we source only organic essential oils. 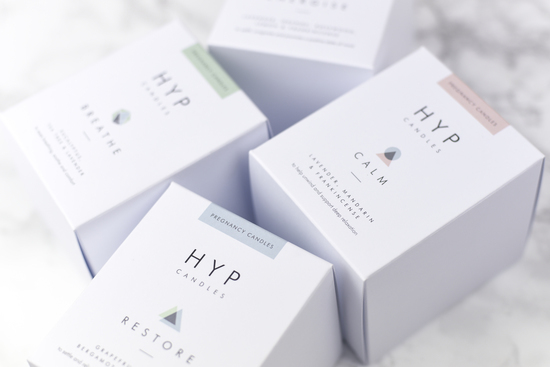 HYP Candles are hand-poured in England using 100% clean-burning, natural wax, which is toxin and pollutant free to make sure that our pregnancy candles are gentle for Mamas and the environment.